Blogging for Beginners - What Is It All About and How Do I Get Started? Believe it or not, I was at a college orientation for my second son yesterday. I am so glad that I started blogging years ago because I have set a foundation for my own future. While I was there, I met another parent who was dropping off her youngest child. Faced with an “empty nest” in the Fall – she was looking for a business that she could create from home. Blogging was on her radar – but she had more questions than answers and was trying to wrap her head around the whole business model. Of course, I could talk about blogging for beginners all day long! Blogging for business is all about sharing your knowledge with the rest of the world, building relationships, and making money while having fun. In it's purest form, blogging is about sharing your knowledge with the rest of the world. You write posts about what you know, your thoughts, and your feelings. At this level, a blog is a personal journal. And the experts will tell you that your blog doesn't have much of a chance of turning into a steady income if it is a personal journal. Sites like The Pioneer Woman, or The Bloggess, or Dooce have succeeded despite breaking all the marketing rules. But the better approach is to pick a topic or a theme that you are knowledgeable about and center your blog around that subject. 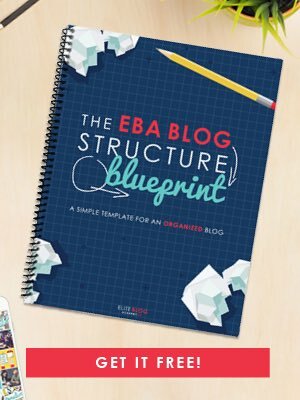 You can certainly branch out as your blog grows, but for beginner bloggers, a tightly focused blog will gain you more traction. What is Your Blog Mission Statement? Every business should have a mission statement – and your blog is no different. When you know what direction your blog is going in, it is far easier to create content on a regular basis. When I first started blogging, I operated in a vacuum. I thought that all I needed to do was write. And truth be told, I lacked the confidence to put myself out there and meet other bloggers. Falling victim to the “everyone else knows so much more than me syndrome” really got in the way of my progress. What I learned was that you need to build relationships with other people to succeed. Just like any other business you want to work with other bloggers, your readers, brands, advertisers, and companies. This builds your own personal brand and gives your business credibility with both real people and with search engines. The number of choices can be overwhelming. It is easy to be very busy and get nowhere. So, creating a focused strategy is how successful bloggers manage their time and effort. To create a business from your blog, it needs to make money. Unfortunately, this can sometimes be a slow process, especially for beginner bloggers. First, you share your knowledge by creating content. Then you get the word out there by building relationships. This bird's eye view walks you through the process of blogging at a very high level. You decide on a blog topic based on what you know, how much you love writing about it, can be monetized, and whether you have an audience that is interested. Don't let the mechanics of actually setting up a website scare you, especially if you don't consider yourself to be a technical person. There is a learning curve – but as a business owner, that should be expected. You can follow the step by step approach in this article to start a blog of your own. Once you have a viable topic, you start building your email list and creating content. It gets easier with time. You begin to build strategic relationships that will help you grow your business. As your traffic grows, you start to monetize. It might sound easy, but it's not. You have to put in the work to get the results. If you are intrigued by making money from a blog, take this quiz to find out if blogging is right for you. Also, explore this blog. I offer tons of useful articles geared towards blogging for beginners. What is Your Biggest Blogging Challenge? What is your biggest blogging challenge? Tell us in the comments below.